PAX East 2018 – What’s Your Story? It’s that time of the year again, PAX East. For the next four days all faces of the gaming industry will be present for a chaotic gathering of fun, mayhem, info sharing, and celebration. Within this storm you have game developers showing their latest projects, media getting the big scoop on AAA and indie titles, content creators searching for the next game to cover and getting access keys, aspiring game developers hoping to network with people in the industry, merchants selling amazing game-related products and fans jumping for joy to shop, game, compete for prizes, hang out and make their own story at PAX. That’s what I love most about PAX East, the stories. Everyone who attends PAX has a story to tell and they have a goal they want to accomplish. When you thousands of these people together in one room, anything can happen. I don’t want to sound dramatic, but lives can change. People have networked and had contacts hire them later all thanks to a 10-minute conversation at the event. So that’s the theme of this post. What’s your story? My story or goal is that I’m searching for knowledge, opportunities, and new contacts. I’m attending PAX East not just as a creator, but also as someone trying to get a job in the industry. If you read my last post, I finally took a big step towards switching careers into the gaming industry by landing a teaching game development job at Digital Media Academy. I’m really excited for the opportunity to teach children the fundamentals of Unity and C#, but it’s only temporary. So I have to think to myself, “What’s next?” The goal of my two-year experiment is to try and land something permanent and do content creation on the side. I’m at a turning point. I have one year left to get a permanent job in the creative industry, but I feel stuck as an aspiring developer. Should I be learning Unreal and C++ in preparation for my next job? Do I try to make a sale on steam? Do I attempt to volunteer at a company and work for free and then pray they hire me after a six-month test? What should I put in my portfolio? These questions and more are what I hope to find answers to at PAX through the wide variety of info panels that feature developers, artists, producers, entrepreneurs, and famous content creators. Network with fellow content creators and get their opinions on the industry. Find a new strategy for uploading content. Find new games to play that my audience will enjoy while allowing me to diversify and expand the channel. I’ve always wanted to livestream, but after doing research and seeing this happen to two acquaintances of mine, livestreaming daily for hours on end destroyed their computers. From talking to several livestreamers, it appears that having two pcs operating while you livestream is the ideal scenario without putting your computer at risk. My problem is that I need my computer for contract work, game development, and video production and I can’t afford a second computer just yet. So my question is what do you do when you can’t livestream? Would you post longplay style videos or short episodic videos on your YouTube channel? As of now I’ve been trying to make highly edited videos that involve a linear story, but while I’m trying to edit just one episode, you have dozens of other creators just uploading a non-edited two-hour video that soaks up a lot of the potential viewership for that one game. By the time I reach episode three of a let’s play series, a new game has already come out and audiences’ attention has shifted. I’m hoping for a little more of a strategic direction when I upload videos. I want to provide a variety of content on the channel, and the blog, but at what point does the desire to finish a game quickly and just upload it kill into the creative process of video editing and providing a different approach to the game? This is my story for attending PAX and what I hope to get out of it. What’s your story? 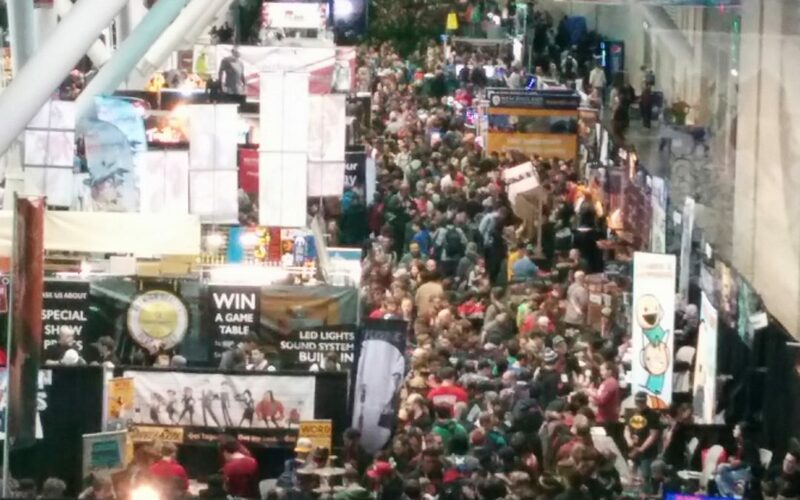 Feel free to leave a comment and share your experience(s) of PAX East.